Packing a ton of fun and performance has never been easier—or looked better—than with the 2018 Jeep Compass, available at British Columbia’s Go Dodge Surrey. Feel just as at home in the concrete jungle with the Compass’ sharp styling, as you do off the beaten path with the powerful and adventure ready 2018 Jeep Compass. 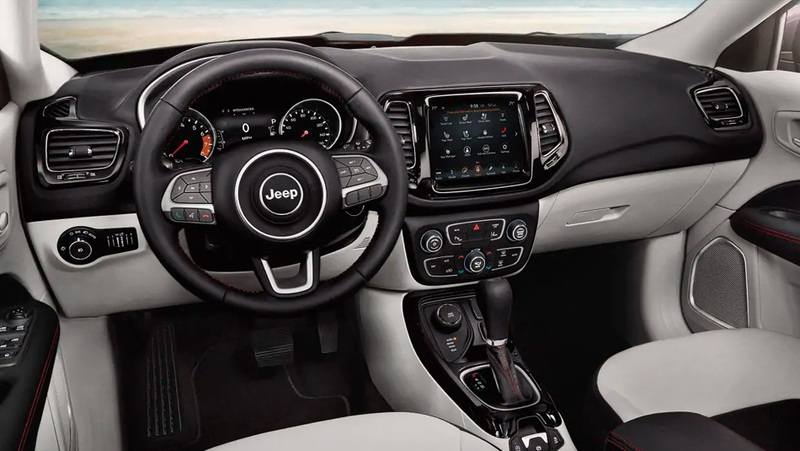 The Compass slots into the Jeep lineup between the smaller Renegade and the larger Cherokee, making it the perfect vehicle for the weekend warrior navigating downtown traffic during the week and blazing new trails on the weekend. Despite its compact size, the 2018 Jeep Compass offers a ton of cargo space thanks to its fold-forward front passenger seat and split-folding rear seats, and available power liftgate. You’ll have no troubles on the road or off, thanks to the standard 2.4L Tigershark® MultiAir® I-4 engine that cranks out 180 horsepower and 175 lb-ft of torque—not to mention the best-in-class 4×4 capability you’ve come to expect from Jeep. Even though the 2018 Jeep Compass retains all of the Jeep capability you’ve come to know and love, not to mention offers styling that pays homage to the Jeeps of old, it isn’t your grandfather’s Jeep. 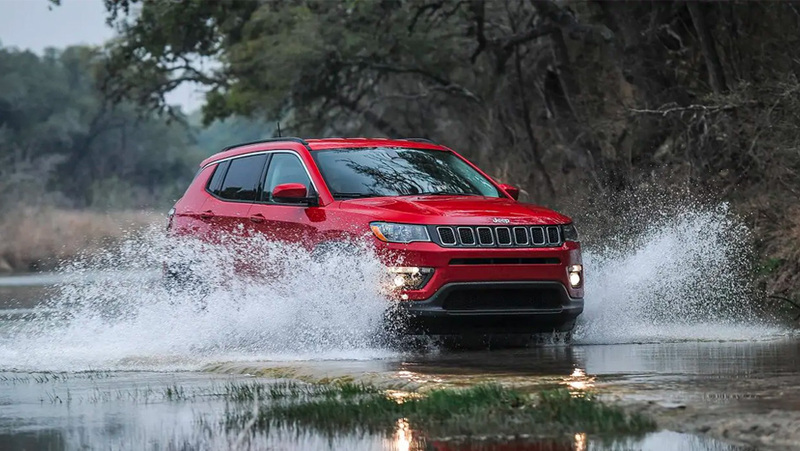 A ton of new entertainment and safety technology makes the 2018 Compass one of the most advanced Jeep models yet. Available Lane Departure Warning with Lane Keep Assist will keep you on track, while the Forward Collision Warning with Active Braking system will warn you of potential accidents and can even engage the brakes to keep you safe. Add in a full-colour in-cluster display, 4th generation Uconnect® multimedia system with Apple and Android compatibility, as well as Jeep’s Keyless Enter ‘n Go™ system, and you’ve got a compact SUV that’ll keep you connected. Available in five different trim levels, from the base Sport model to the Compass Limited, the 2018 Jeep Compass at Go Dodge Surrey is a versatile compact SUV that you’re sure to love. Learn more by contacting us, or coming in for a test drive today.